The first week of childcare is full of emotion. For many parents it can involve a mixture of excitement, anxiety and a long list of questions. At Guardian Early Learning, our Educators are here to make sure your child’s transition to childcare is as exciting and seamless as possible. From booking a tour and meeting our Educators to stopping by for couple of orientation visits with your child, here we’ve outlined the steps our centres take to support you and your child on this exciting journey of learning and discovery. At many of our childcare centres, after your child is enrolled the Centre Manager calls to book in a couple of orientation visits. 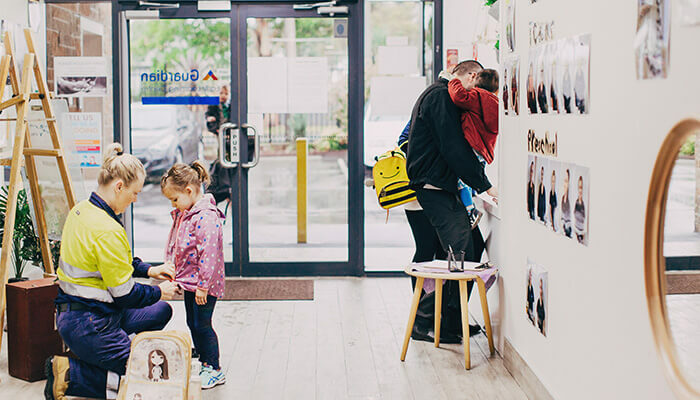 As we want to make the transition to childcare as seamless as possible, these visits introduce you and your child to what a day in the life at Guardian is like and prepare you for your new routine. At Guardian we want the centre to feel like an extension of your home – and the Educators part of your family. Each centre encourages children to choose a dedicated locker space, meet other children and interact with the Room Leader who will be with them along the way. Usually a couple of families who are also about to start childcare will attend orientations. During these visits we ensure the education Room Leader is available to sit and speak with each family. 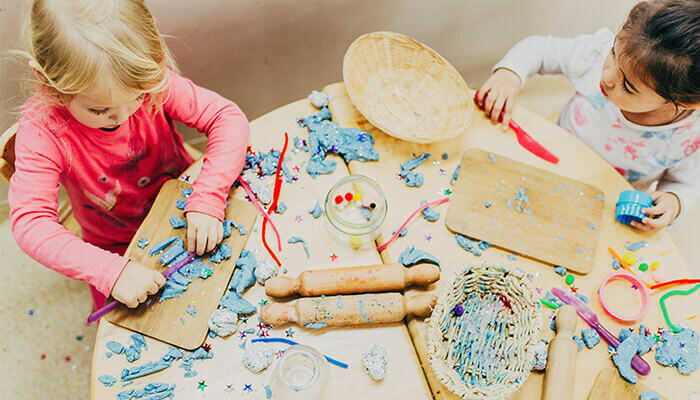 “This is important to give both parents and Educators the opportunity to discuss each child’s current interests, goals and the child’s routine,” says Jilly-Anne Taylor, Centre Manager at Guardian Early Learning Tempe. Our Educators use this information to program for the child’s first few weeks at the centre, supporting each child’s sense of belonging and security in a new environment. 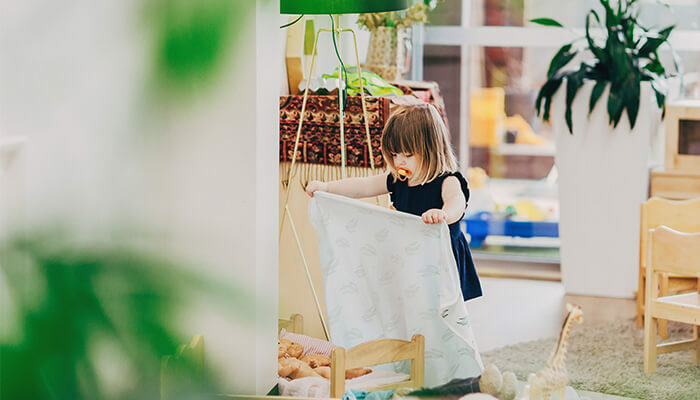 During orientation and the first few days at childcare, Educators make it a priority to learn as much as possible about each child’s individual routine. Centre Manager of The Pavilion, Helene Skarparis, says this is important for Educators to understand what your child is interested in, when they eat, when they sleep, whether they have a comforter, what scares them, how to settle them and what they enjoy doing most. These sorts of questions vary depending on the age and developmental stage of each child. At Guardian, we try to make it as seamless as possible for parents to be part of their child’s day with communication app, Storypark. The app allows Educators to privately share updates about your child throughout the day with photos and stories showing what they’re up to. Educators will set up time with each family to run through how to use Storypark. The app also allows parents to share their thoughts about the centre’s menu for the week, learn about any special days and hear about any upcoming excursions, encouraging a wider sense of community between families and educators. Follow this link to learn about the ways we use Storypark at Guardian. While the first day can be filled with tears (your child’s or yours), Centre Managers encourage each parent to stay with their child for around 15 minutes on the first day, with a familiar face (usually someone from your child’s orientation) taking over from there. At many of our centres, including The Pavilion in Sydney’s CBD, parents are given a voucher to use at a nearby coffee shop. This way parents can take a minute for themselves after the first few drop offs – as this can be a big and emotional change for everyone. From here, an Educator from the centre will call within an hour to give an update on their child’s progress and what they’ve been up to. Phone calls continue each week during the settling in period, which can sometimes last six to eight weeks, or as long as a family requires. “On a child’s first day, I enjoy letting children naturally move through our environments. 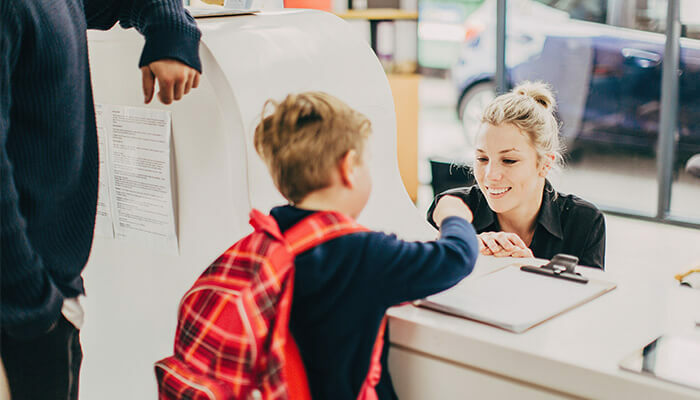 If they come on a tour, we observe what they’re most engaged with and usually I will make a note in the diary or on their tour booking so we can mention it for next time,” says Peta Kiellor, Centre Manager at Guardian Early Learning Caringbah. Click here to learn more about the first day at Guardian. At Guardian, many of our centres have an in-house chef who prepares five fresh and nutritionally balanced meals each day. These meals are planned to support each child’s early development. 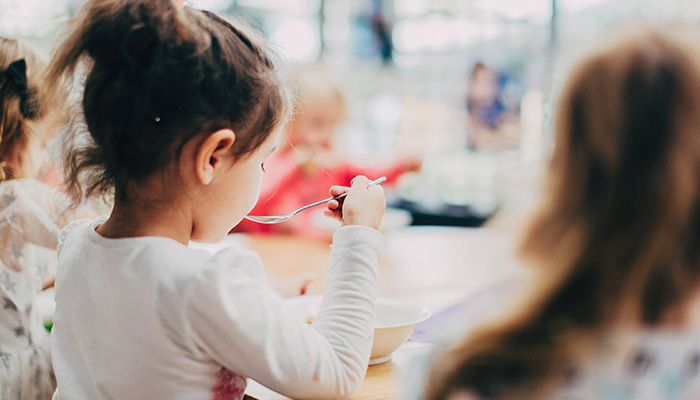 Each cook encourages parents to share all dietary requirements and preferences for their child, as all of these things can be incorporated throughout the day, in accordance with nutritional guidelines, to support growth and development. Learn more about our focus on nutrition. Fostering good communication and relationships is central to everything we do at Guardian. We are very proud of our community mindset and encourage sharing, updates and talking with our families as much as possible. As each child settles in, we might reach out if we’re having trouble putting them to sleep or to learn more about their routine. We want to do everything we can to ensure starting at Guardian is an easy process – so we look to parents for their insights, too. At the end of each week, centres usually send a newsletter outlining when each Educator will be on the floor, the menu for the next week and a list of upcoming excursions at the centre. This means you can plan to stop by or join us for any of these activities. 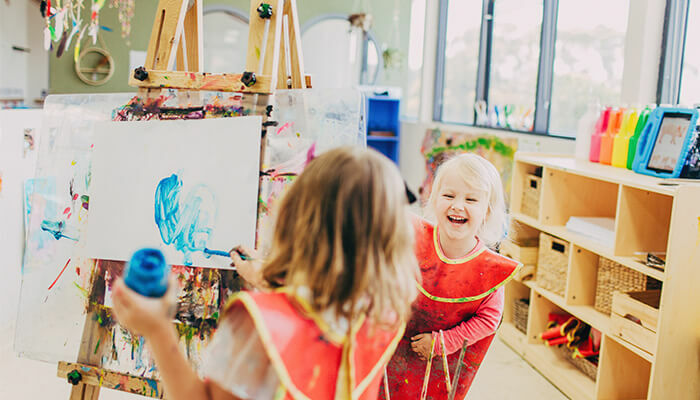 From a tour to your child’s first day, our Educators are here to create a supportive environment to encourage a unique journey of learning and exploration to suit each child. These are just a few of the ways that our centres work with families to create a safe, supportive and nurturing environment for each child. Want to learn more? Click here to book in a tour or chat with our Educators about how we can support your child’s early learning journey.